1976 B.C.  1879 B.C. 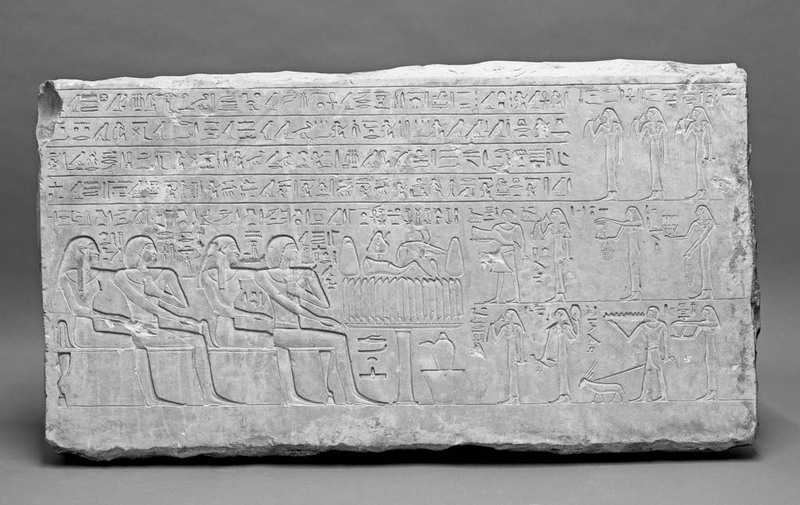 rectangular, of the priest Montuhotep, with family (wife, Snt (Sent or Senet), parents Neferpert and Hathoremhat) bringing offerings, inscribed. Also shown are his sisters, son, daughters, the nurse, the maidservants and the farm servants. Lilyquist, C.. 1979. Ancient Egyptian Mirrors. Petrie, W.M.F.. 1925. Tombs of the Courtiers. Porter, Bertha. Moss, Rosalind L. B.. Topographical bibliography of ancient Egyptian hieroglyphic texts, reliefs and paintings. Vol.5, Upper Egypt : sites (Deir Rîfa to Aswân, excluding Thebes and the temples of Abydos, Dendera, Esna, Edfu, Kôm Ombo and Philae).